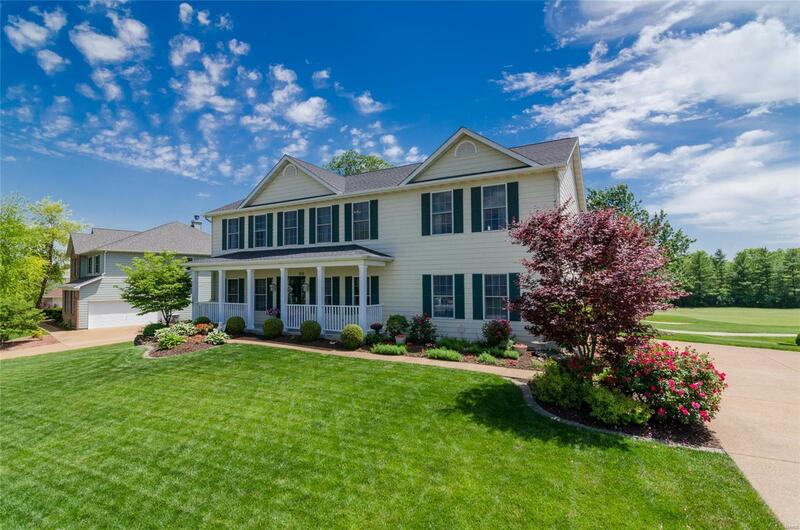 Immaculate home on 1/3 acre lot that backs up to the 12th fairway in Stonewolf Subdivision. The spacious wood foyer welcomes you to the formal dining and living room areas, leading into the large family room w/ gas fireplace & beautiful windows boasting the park like backyard. The kitchen and breakfast area has great work space and opens to the family room. The laundry room is off the kitchen and all appliances, including the washer & dryer, stay. Upstairs are four gigantic bedrooms. The Master Bedroom Suite is extraordinary with walk-in closets, Master Bath, garden tub, separate shower (with new glass door). There is good size loft and full bath as well. The basement is almost all finished with 3/4 bath and an additional utility sink. The pool table & equipment will stay. The clean storage area is abundant with two newer York furnaces providing zoned heating. The deck and porch have recently been replaced and painted. Home has passed occupancy. Motivated and waiting for your offer.